Crow pose when your body is in pain. A journey of self-discovery. I run a Yoga for Pain program for people with persistent pain. Today I was inspired by the progress the current group have made in their understanding of their bodies and themselves. 16 weeks into their yoga experience they attempted - and many performed - crow pose, a challenging arm balance. To give you an idea of just how impressive this is, in lesson one of Yoga for Pain they moved only hands and feet because anything more would exacerbate their pain. What makes this kind of progress possible? Recently, I was invited to give a guest talk as part of the The Pain Explained Lecture Series. 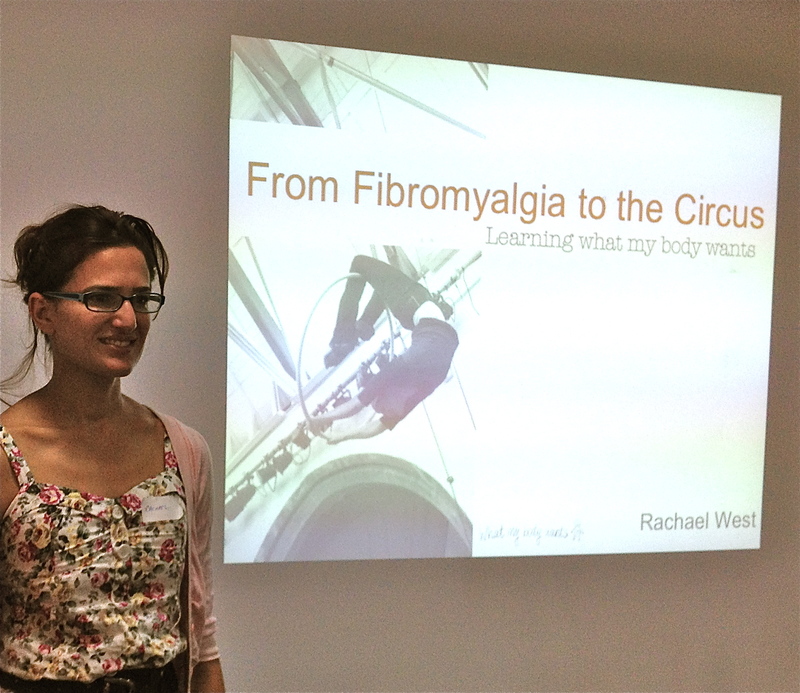 I shared my journey of moving through Fibromyalgia, running away to the circus and re-discovering my relationship with my body.